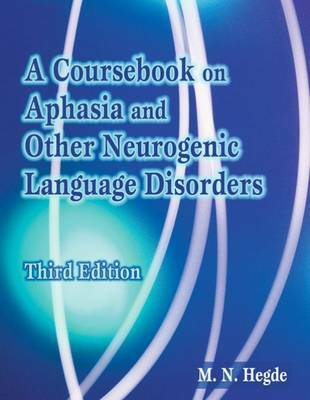 This excellent new edition of a highly respected text provides clear, essential information on aphasia and other neurogenic language disorders in a user-friendly format. Organized in the coursebook format, pages are divided into columns with written information side by side with space for notes, allowing you to keep all your information in one, easy to access location. Thorough revisions reflect recent developments in the field including expanded information on dementia, traumatic brain injury, and right hemisphere syndrome. Current and clinically relevant, additional information on the study, assessment, and treatment of language disorders associated with neurologic problems has been included making this an essential and practical resource.